The bone-dry, black-and-white Ida is the fifth film from Polish writer-director Pawel Pawlikowski, although it’s just his second in the last ten years. I have only seen one of Pawlikowski’s previous efforts, the sensitive and low-key 2004 coming-of-age drama My Summer of Love, a film best known for giving Emily Blunt a showy role that became her breakout performance. By contrast, Ida does not offer a showy role with breakout potential to the title character played by Agata Trzebuckowska, a meek, moon-faced orphan raised in a Catholic convent. Instead, Trzebuckowska’s performance is a study in innocent, blank-eyed rectitude slowly illuminated by experience and emotion. It is understated and carefully controlled work, but like the film, it is pared down so far that it rests a little lightly on the consciousness. Raised by nuns under the name of Anna, Ida is prepared to take her vows as the film opens in the early 1960s, but is informed by her prioress that she will first have to visit her last remaining relative, a woman who she has never met. The relative is her Aunt Wanda (Agata Kulesza), who informs Anna that her name is actually Ida, that she is Jewish rather than Catholic, and that her parents were Holocaust casualties whose bodies were never found. A tenacious ex-prosecutor for Poland’s Socialist government, Wanda had long given up trying to reconcile a tragic past, but she joins Anna in the search for her parents’ unmarked graves. Anna initially just wants her parents to have a proper burial, but Wanda wants answers, and so they chase ghosts through old villages and tentatively recovering cities. Anna and Wanda are polar opposites, but they also represent the potential for a reconciliation between wisdom and faith, albeit one that doesn’t make it any easier to live with loss. Ida is an examination of a Nazi complicity that most Poles would rather forget – at one point, the location of the graves is bartered for land that has already been stolen – but like My Summer of Love, it is also a coming-of-age story. Dressed for almost the entire picture in a light gray habit, Anna is making her first and possibly last entry into a world of temptation and corruption, and her commitment to an ascetic lifestyle is challenged the closer she gets to the truth. For his part, Pawlikowski has no problem committing to a rigid asceticism, eschewing a musical score and at one point even denying us the violent pleasure of a car accident, only allowing us the banal and non-bloody aftermath. Many of the images are so composed and tranquil that human motion feels almost intrusive, like a still photograph suddenly sprung to life. 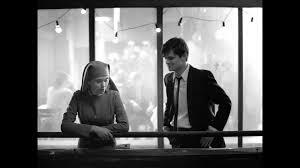 Pawlikowski shoots much of Ida just slightly out-of-balance, often placing the characters excessively low in the frame, as though leaning away from the long-buried secret that is at the film’s center. That monastic restraint is a both of strength of Pawlikowski’s – at just 80 minutes, Ida is a textbook in narrative, visual and emotional economy – and also a weakness. For all of the film’s delicately structured character arcs and hushed visual poetry, Ida never completely connects, and Pawlikowski’s cinematic reserve often makes the film feel arid and passionless.